Yay! 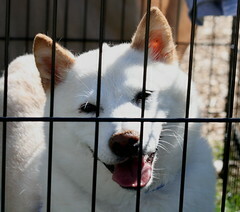 Got to upload tons of dog pics to my flickr account since I went to two dog events back to back in September. This guy was one of the first doggies I met at the first event. What a sweet baby! Keep checking back to my account….still uploading!